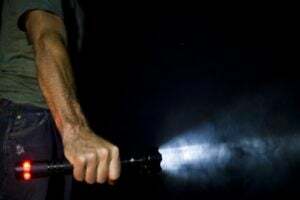 A good, reliable flashlight is an essential tool for any house, car, workshop, or outdoor nighttime activities, like camping. 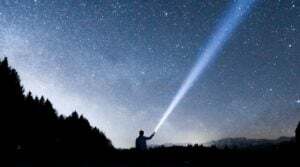 Traditional flashlights are perfectly adequate, but for wider coverage, the best flashlight is a lantern-style flashlight, like the OxyLED Q6, which offers plenty of light, power, and customization settings for an extremely reasonable price. 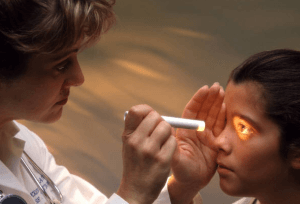 Upon first taking it out of the protective tube in which it arrives, the product may feel a little cheap, as it is very lightweight and made of plastic. But closer inspection reveals that the plastic is actually of very high quality (which is why the light is so evenly dispersed) and, after a few drops, I can report that it is exceptionally durable. 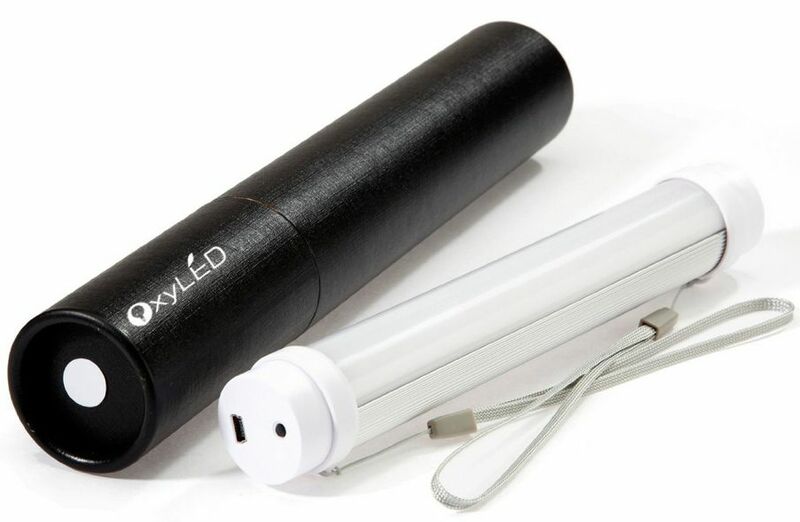 The OxyLED Q6 has a light output of 200 lumens, which is brighter than many comparable products, and measures approximately 10 inches in length, ensuring that the 200-lumen output covers a wide area. 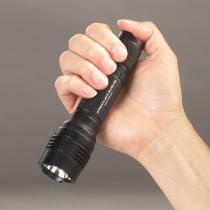 However, for those who do not need quite that much light, this lantern-style flashlight comes with 4 different brightness settings—dim, normal, bright, and supernova—and also includes a strobe function, which is exactly what you need in an emergency situation that calls for you to flag someone down for help. 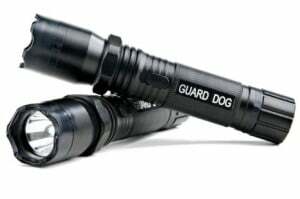 Additionally, the light it puts out is evenly dispersed because of the high quality plastic and the use of multiple LEDs, and the light itself is not that dingy, yellow-ish color that seems to be so common on flashlights, but is a brilliantly cool white color that is ideal for aiding visibility in any activity at any time. However, note that the unit does not put out 360 degrees of light; it puts out 180 degrees of light. Half of the tube is a reflector, which is incredibly handy, but, obviously, not a fabulous source of light. 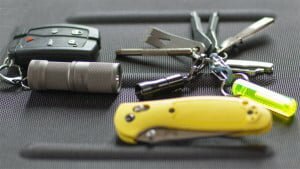 This model also uses a rechargeable battery that draws energy from a computer or laptop via a mini USB cable—no longer will you be constantly changing out dead disposable batteries (essentially throwing money into a trashcan.). If your vehicle has a USB slot, you can even charge it in your car! Charging time is about four hours and depending on the setting you use, the battery can last between 3 hours (the supernova setting) and 72 hours (the dim setting). 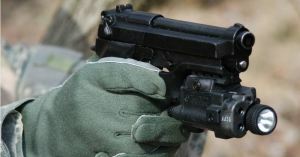 When it is time to recharge, the unit includes a blinking red light that indicates that the flashlight is charging; when the light changes to a steady red, it is a sign that the OxyLED Q6 is fully charged and ready for action. Surprisingly, for a product this inexpensive, the makers used a high-quality battery with a capacity of 2,400 mAh, an impressive inclusion when manufacturers generally stuff their products with the cheapest parts they can find or legally use. 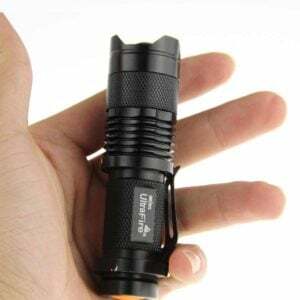 The LEDs themselves are also of high-quality, possessing a lifespan of 36,000 hours, which is much more than ordinary flashlights. The body is made of drop-resistant and durable plastic that makes it great both in the home or car or out in the great outdoors. 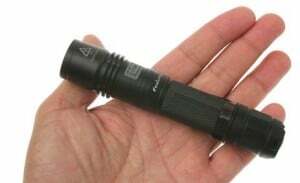 You can take this flashlight with you camping, hunting, and even spelunking—it can take the abuse and you will never be without light. 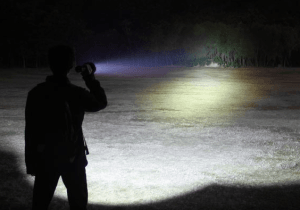 It is also extremely portable and lightweight; many people use the included lanyard to loop this lantern around posts, camping equipment, hooks, and wrists to be able to benefit from the light hands-free. It is also often used by cyclists who attach it to their bicycles as a sort of headlight. There are some issues with durability, namely, the lanyard hooks. It is a small problem to be sure, but this otherwise glowing review (pun intended) would seem false without mentioning it. 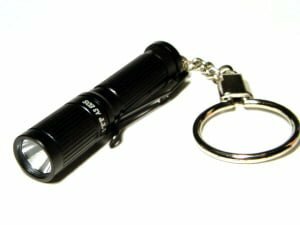 Most flashlights, be they of the traditional style or lantern style, have a place to attach a lanyard. The OxyLED Q6 is no exception, but the attachment holes are extremely small, meaning that only a flimsy, thin lanyard will be able to squeeze through them, and the attachment holes themselves seem to be of cheap quality, as if the most moderate of accidents would cause them to cease to be functional. It would be better if the manufacturers attached a hook or solid ring to one of the ends so that it would hang like a lantern and be of sturdier design. This, however, is an extremely minor flaw, unless you plan you putting a lot of stress on the lanyard attachment holes. 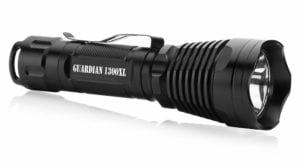 The OxyLED Q6 makes a great everyday carry light, camping light, and emergency light in times of trouble. It is well-made, extremely bright, easy to use, lightweight, and portable. 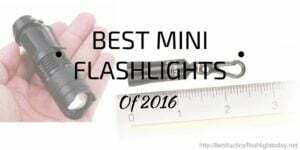 For those looking to replace or upgrade their current flashlight, this a great place to start, due to the quality of the build, the multiple settings, and the price.